Dimensional Communications got its start in 1963, when we received our first commission to build a custom exhibit – for the Borden’s Pavilion at the World’s Fair in Flushing Meadows, New York. In the 50 years since that time, our company has evolved and grown to become a recognized leader in integrated design build solutions. We’re large enough to provide comprehensive, turnkey service, yet small enough to be agile and highly responsive. Our unsurpassed experience means that we’ve seen and solved just about any exhibit-related challenge you may encounter. But we’re not resting on our laurels. We’re constantly on the lookout for new technologies and strategies that keep our clients on the cutting edge. And we’ve just introduced our own proprietary tension fabric system that lets your imagination soar while keeping production, shipping and storage costs down. 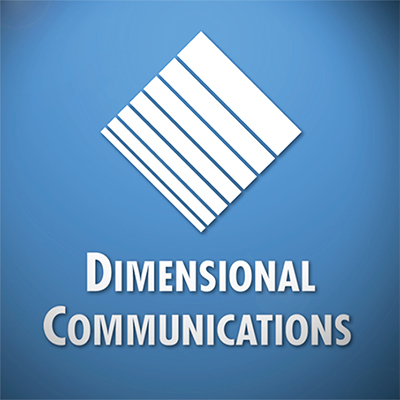 Dimensional Communications recently consolidated all of our operations under one roof in our new, state-of the-art 125,000 sq. ft. facility in Mahwah, New Jersey. And we’ve had the privilege of working with many of the world’s most respected brands. We partner closely with our clients to develop a deep understanding of the vision and goals for your exhibit, and we present carefully considered, compelling solutions that bring your vision to life. Dimensional Communications strives to achieve perfection in every aspect of our service and our craft, and continuously incorporate new materials, technologies and approaches to our list of capabilities. Even if it hasn’t been done before, we can make it happen. We relish a challenge, and create unique solutions that deliver unforgettable experiences for your visitors. Dimensional Communications knows that small things can make a huge difference, so our in-house team meticulously inspects every detail at each stage of development, fabrication and installation to achieve a flawless result. Great work rarely happens in a vacuum. So our team works hand-in-glove with you to keep you fully informed and involved at every stage of the process, from concept to completion. Even the most creative, innovative designs are of no value unless they can be executed within your budget. Our team excels in discovering high-quality, cost-effective solutions to create the exhibit you envision, with no cost overruns or delays. Visit the Dimensional Communications website for more information.